Part of Hikvision’s 4-line Lightfighter range of cameras, the HIK-2CD4A25IZHS8 is a bullet camera with 140dB wide dynamic range that can cope with high backlight condition and produce an exceptional 2MP high resolution video. Built-in smart analytics* allows for efficient pre and post event detection and with inbuilt EXIR technology delivering unparalleled clarity at night for up to 50m and an 8-32mm auto-focus lens, this camera is great for covering a wide area so you can focus on the detail you really want. Hikvision’s Lightfighter camera line offers the flexibility needed to overcome even the highest contrast environments. Engineered with industry-leading 140dB WDR technology, Lightfighter cameras see through strong lights to produce crystal clear images with true colour reproduction. Hikvision’s Lightfighter camera line offers the flexibility needed to overcome even the highest contrast environments. Engineered with industry-leading 140dB WDR technology, Lightfighter cameras see through strong lights to produce crystal clear images with true colour reproduction. Hikvision’s Lightfighter camera line offers the flexibility needed to overcome even the highest contrast environments. Engineered with industry-leading 140dB WDR technology, Lightfighter cameras see through strong lights to produce crystal clear images with true colour reproduction. Part of Hikvision’s 4-Line Lightfighter range of cameras, the HIK-2CD4525WIZH8 is a outdoor dome camera with 140dB wide dynamic range that can cope with high backlight conditions to produce an exceptional 2MP high resolution video. Coupled with a high performance infrared for up to 40m visibility at night and with an 8-32mm auto-focus lens, this camera is great for covering a wide area so you can focus on the detail you really want. Additionally, built-in smart analytics* allow for efficient pre and post event detection. Part of Hikvision’s 4-line Lightfighter range of cameras, the DS-2CD4A25FWD-IZHS-2 is a bullet camera with 140dB wide dynamic range that can cope with high backlight conditions to produces an exceptional 2MP high resolution video. With built-in smart analytics* that allow for efficient pre and post event detection and coupled with inbuilt EXIR technology delivering unparalleled clarity at night for up to 50m and with a 2.8-12mm auto-focus lens, this camera is great for covering a wide area so you can focus on the detail you really want. Part of Hikvision’s Lighterfighter PTZ series, the HIK-2DF8236IVAEW is a smart PTZ dome cameras that is able to capture high quality images in environments with intense light sources. Embedded with a 1/2.8″ progressive scan CMOS chip that makes ultra WDR (140dB) and 2MP real-time resolution possible and featuring a built-in high performance infrared LED that provides unparalleled visibility in 0 lux conditions for up to 200m. Additionally, with the 36x optical zoom day/night lens, this camera offers more details over expansive areas. Part of Hikvision’s Lighterfighter PTZ series, the HIK-2DF6236V-AEL is a smart PTZ dome cameras that is able to capture high quality images in environments with intense light sources. Embedded with a 1/2.8″ progressive scan CMOS chip that makes ultra WDR (140dB) and 2MP real-time resolution possible and with the 36x optical zoom day/night lens, this camera offers more details over expansive areas. Part of Hikvision’s 4-Line Lightfighter range of cameras, the HIK-2CD4625IZHS2 is a rugged bullet camera with 140dB wide dynamic range that can cope with high backlight condition to produce an exceptional 2MP high resolution video. Additionally, built-in smart analytics* allow for efficient pre and post event detection which, when coupled with inbuilt EXIR technology that delivers unparalleled clarity at night for up to 70m and a 2.8-12mm auto-focus lens, makes this camera great for covering a wide areas so you can focus on the detail you really want. Part of Hikvision’s 4-Line Lightfighter range of cameras, the HIK-2CD4525WIZH2 is a outdoor dome camera with 140dB wide dynamic range which can cope with high backlight conditions and produces an exceptional 2MP high resolution video. Coupled with a high performance infrared for up to 50m visibility at night and with a 2.8-12mm auto-focus lens, this camera is great for covering a wide area so you can focus on the detail you really want. Additionally, built-in smart analytics* allow for efficient pre and post event detection. 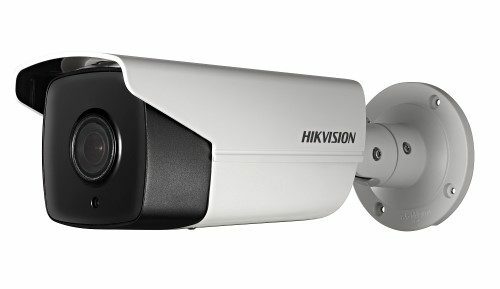 Part of Hikvision’s 4-Line Lightfighter range of cameras, the HIK-2CD4625IZHS8 is a rugged bullet camera with 140dB wide dynamic range that can cope with high backlight condition to produces an exceptional 2MP high resolution video. Additionally, built-in smart analytics* allow for efficient pre and post event detection which, when coupled with inbuilt EXIR technology that delivers unparalleled clarity at night for up to 150m and a 8-32mm auto-focus lens, makes this camera great for covering wide areas so you can focus on the detail you really want. 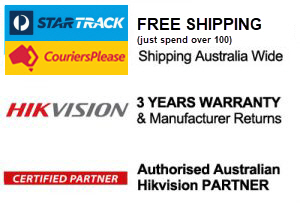 Hikvision HIK-2CD4025FWDAP 2MP Full Body Lightfighter Camera, 140dB WDR, ABF, P-Iris, No Lens inc.
Part of Hikvision’s 4-Line Lightfighter range of cameras, the HIK-2CD4025FWDA is a full body camera with 140dB wide dynamic range that is capable of coping with high backlight condition to produce an exceptional 2MP high resolution video. Supporting C/CS mount lenses and built-in smart analytics it allows for efficient pre and post event detection. With a smart analytics features set that includes: Intrusion detection, line crossing detection, object left/removal, area entering/leaving, scene change detection, audio surge detection, audio loss detection, defocus detection, face detection, object counting and more, this camera is perfect for a wide range of applications.